Victory Motorcycles has teamed up with National Lampoon’s and True Lies actor Tom Arnold to create a one-of-a-kind motorcycle. 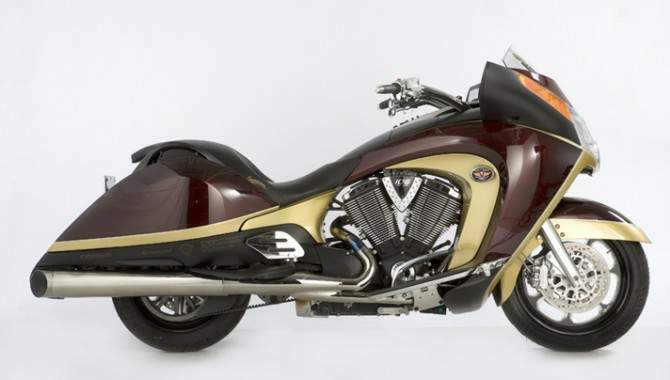 The bike, a Victory Vision Street, featuring a custom paint job designed by special effects guru, the late Stan Winston, is to be sold to raise money for two American charities: Camp del Corazon and Operation Homefront. 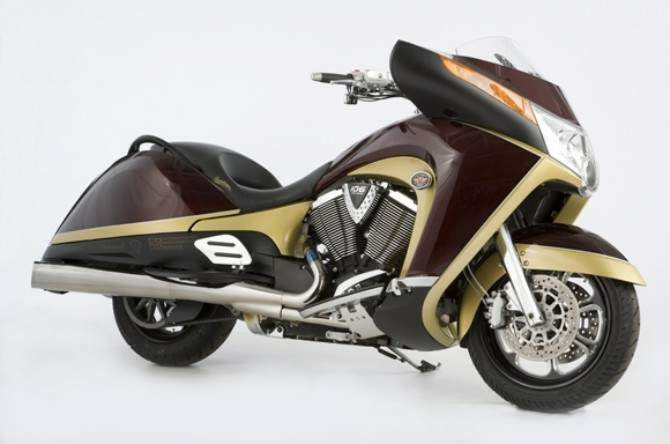 The motorcycle also features customized wheels and plates from Ness Customs, a 400 watt stereo system from Al & Eds Stereo with an iPod hook up, and custom seat and Pure Victory Gear accessories from Victory motorcycles.